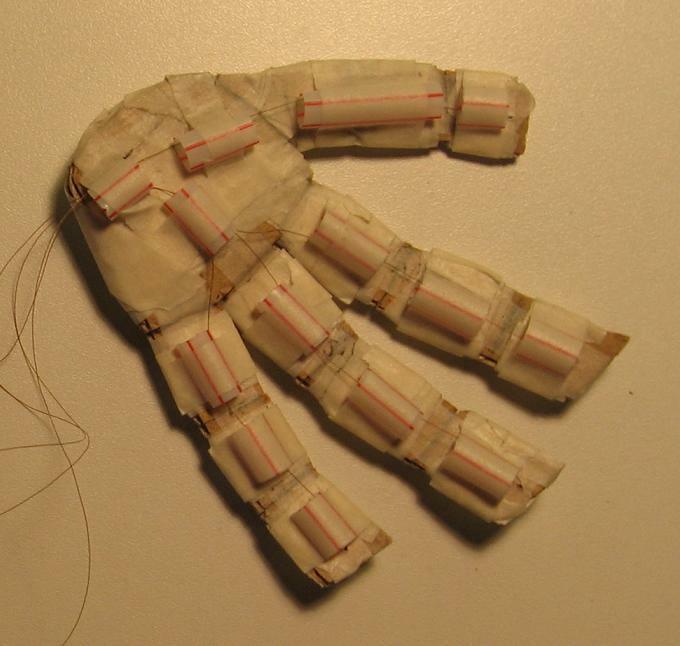 This is the mechanism that gives Moss his working left hand. 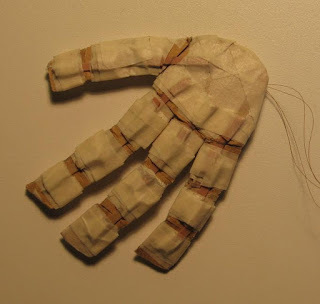 It's very low-tech, made of cardboard, drinking straws, elastic bands, masking tape, and invisible thread. The mechanism is based largely on this activity from Canadian children's science magazine YES Mag. The red trigger seen in the video is from one of those "snapper" toys with a plastic animal head on the end of a stick. 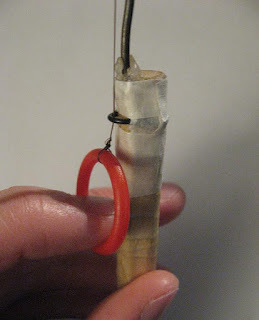 In 2010, I replaced the trigger with the arrangement seen below: the four threads run through a hoop (made from a paperclip) on the arm rod's dowel and tie onto a plastic ring, which I pull to close the puppet's hand. This method gives me more control and a wider range of motion.